I'm really feeling tassels these days, so I figured I may as well translate that into a fun necklace for summer... Mission accomplished. This beaded beauty reminds me of the World Cup for some reason (just me? ), so I'm really feeling it right now, despite the fact that my team lost... Sorry Greece, but if it's any consolation, you still have a super hot goalie... But enough about that (seriously, is it hot in here? ), back to business. I had bought these beads from a local bead store last year, and finally putting them to work sure felt good — even if it took forever. 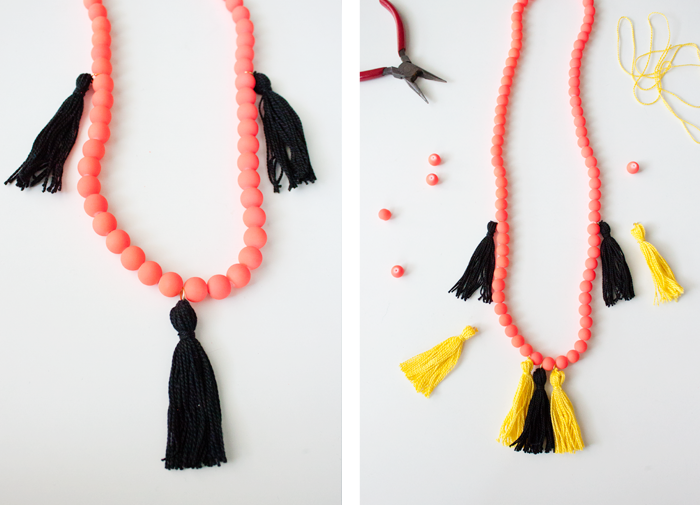 So if you feel like whipping up a tassel necklace (or a tassel anything, for that matter), here's how! Using a piece of cardboard or a price tag, start by wrapping embroidery thread around the length of the tag, about 25 times over. 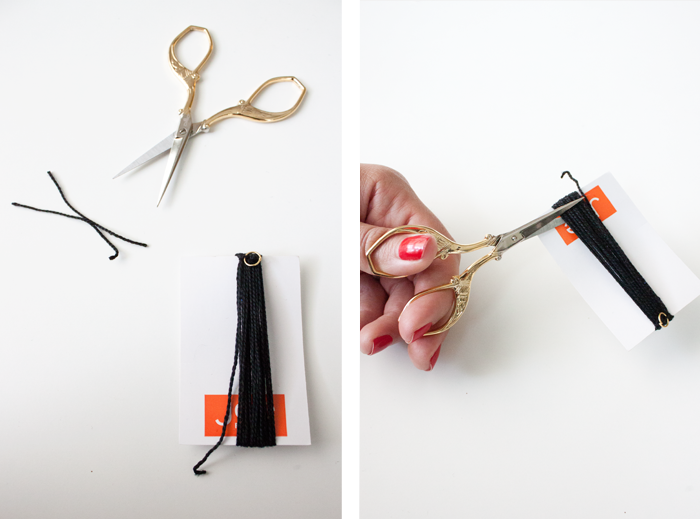 Snip the end off, then cut another piece of thread to wrap under the top section of your tassel-to-be. 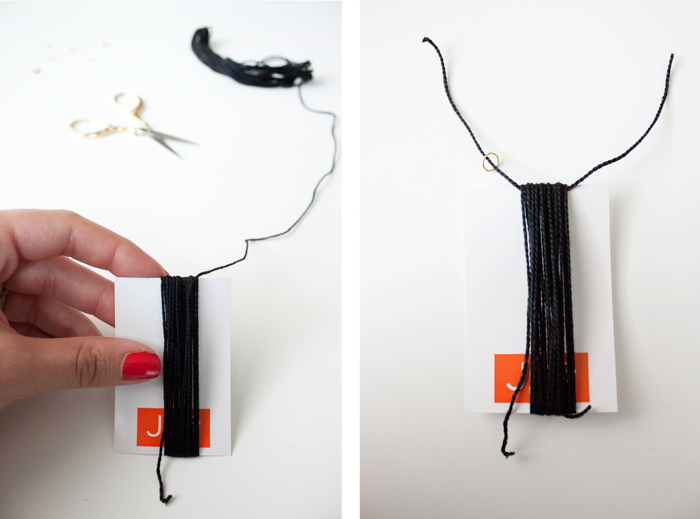 Add a jump ring then tie the thread several times, making sure it's secure. Once that's done, closely snip the ends off the top, then cut the bottom section in half to liberate your tassel (so dramatic). 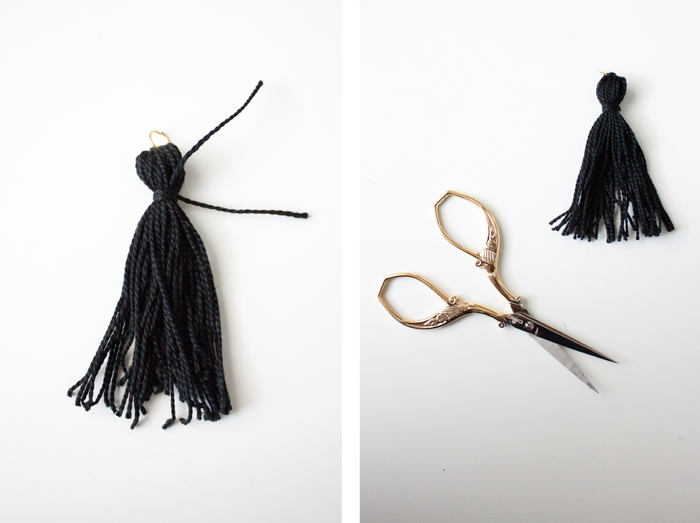 Cut off another piece of thread and wrap it around the top-end of your tassel, knotting it several times to keep it secure. Trim off any excess, then even up the ends... Ta da! Tassel time. 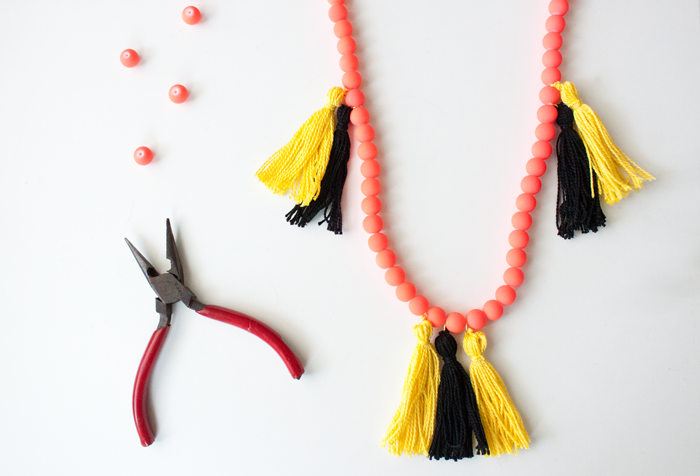 Repeat this process at least three times, setting the finished tassels aside. 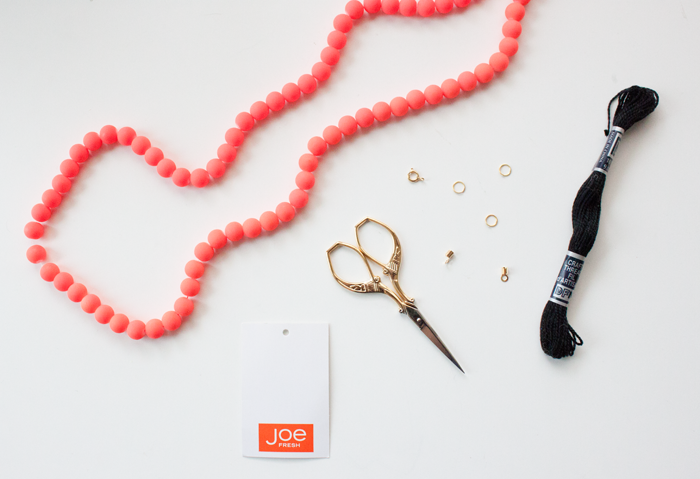 Use crimp beads to keep your string of beads in place, then add your final jump rings and clasp to finish things off. Then simply attach your tassels and you're done! That is, unless you have a change of heart midway through the project (ahem) and decide you want to add a few more tassels in a contrasting colour... Who does that? 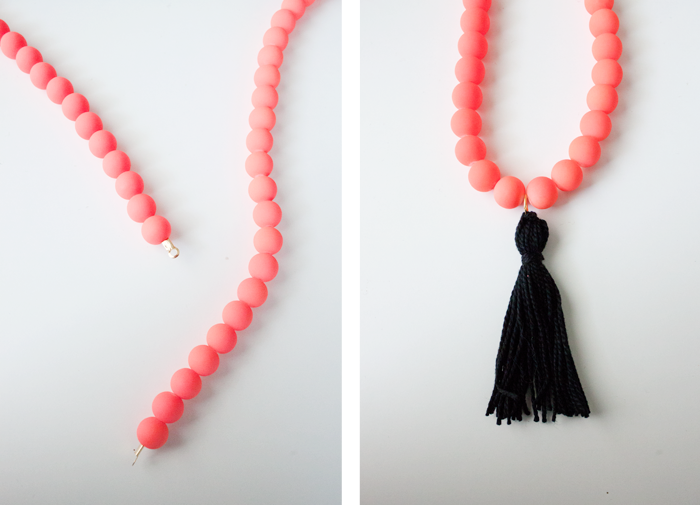 Ok now, for reals this time, add all your tassels to the necklace using those handy jump rings of yours and call it a day... done and done. Thanks for reading friends, and I hope you liked this super easy DIY!